We have seen many nice wireless charging solutions, but if you need a fashionable option to meet your exquisite home decoration, the Switch wireless charger may be more suitable for you. 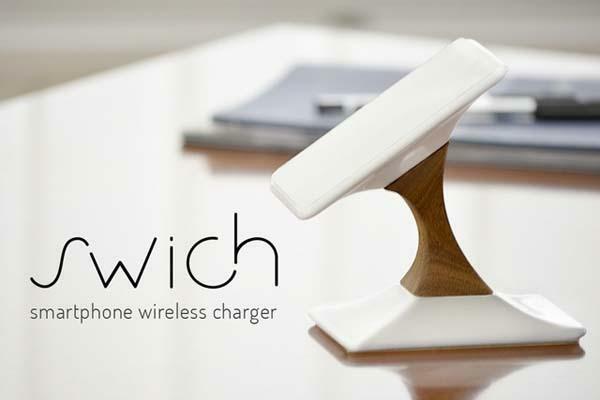 The Switch is a sophisticated Qi-enabled wireless charger that measures 6.5 x 10.5 x 5.5-12 cm. 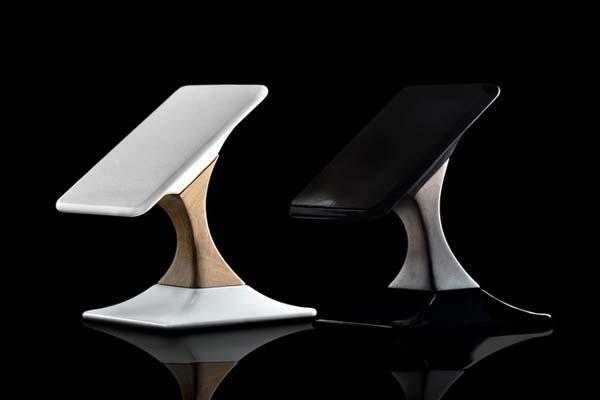 As shown in the images, the wireless charging station sports an elegant, minimalistic design, and is made from sustainable materials, including ceramic base and holder, and an American walnut arm connecting the two ceramic parts in order to add functionality and aesthetics on your tabletop. Moreover, using acrylic foam sheet with micro suction cups, the wireless charger steadily holds your smartphone in place for wireless charging, and optional wireless charging receiver lets you wirelessly charge your iPhone 5/5s or other smartphones. 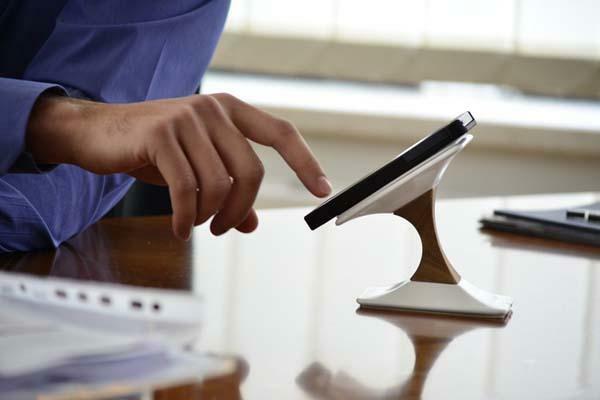 Moreover, its rotatable design makes it double as a versatile phone stand for handsfree viewing. The team of Switch is raising fund via Kickdtarter. You can pledge $170 to own the Qi-enabled wireless charger for smartphones. If you like it, jump to Kickstarter official site for more detailed description or check out the following demo video first.